Two gone, four remaining! Secure the next apartment now before developer’s prices rise! Video now available! Take a tour of the proposed development from the artist's impression video walk-through now online. Selling off the plan now, only four remaining! 10% deposit and balance on completion! Designed with low maintenance living in mind, this development will attract a range of buyers whether you are downsizing or relocating. The award winning fusion of Braeden Construction and Skale Building Design’s next level project, will deliver six high-end, luxurious homes in a private, secure, gated complex. 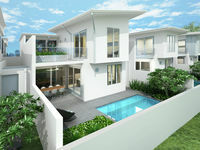 The remaining four units are now selling off the plan. These apartments epitomise the very best in form and function, with the freshest in first-rate finishes and fittings. 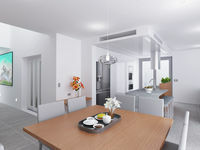 Modern open plan design incorporates a state of the art kitchen, rugged concrete bench tops and smeg appliances. Clever storage solutions have been incorporated throughout the homes. The light filled, open plan lounge & dining flow onto the outdoor entertaining area and private plunge pools. Upstairs has a private gardened balcony and an indoor/outdoor bath set in a lush garden setting. The units are air-conditioned throughout for year round comfort and come fitted with a solar system to help reduce your carbon footprint. If stairs are not your thing, Kone lifts are an optional feature. Along with a first class finish, location is key. James Street is one of Noosaville’s finest. 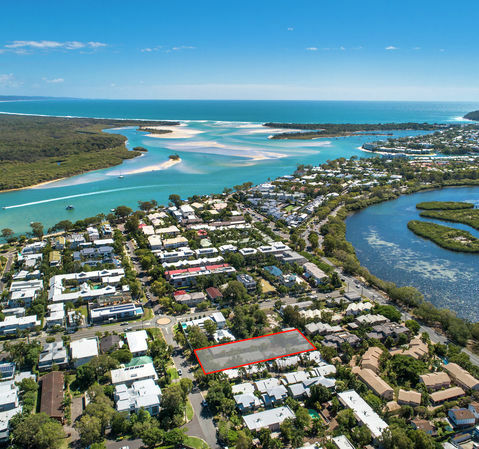 Noosa River is just a short walk, where you will find an array of fine dining, cafes, boutique shopping and adventure sports, including jet ski hire, kayaking and much more. Live in, lock-up and leave, or invest for a holiday lifestyle - the choice is yours. For further information and plans please contact Correen on 0414 742 238. 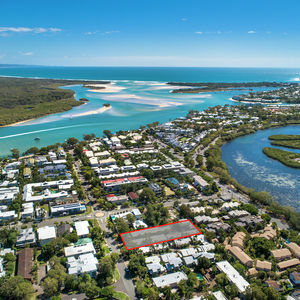 Correen Mackay is a familiar face to Noosa locals, having lived here for nearly 40 years, and selling real estate for half of that time, it's no secret she is committed to achieving surmountable results. Dependable and persistent are just two attributes as to why Correen has a solid list of clients, which has lead to many years of referrals and repeat customers. 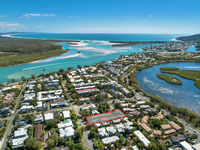 Specialising in Noosa's beachside suburbs, from Noosa Heads to Peregian Beach, Correen lives locally, knows the area intimately and has an unrivalled market knowledge, these elements combine with her outstanding negotiation skills to deliver an outstanding property transaction experience for not only her vendors, but her buyers as well. 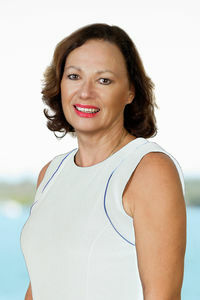 Selling real estate, being a mother and supporting the local community go hand and hand, Correen has a love for outdoor activities and has supported many local sports clubs over the years. "Our children are our future, and I love seeing the rewards they achieve through sport," Correen explains. "When you love where you live, and believe in what you do, your job is more like a lifestyle and can be very rewarding."